opencast jade mines and the devastated landscapes of a remote area of China’s largest, most westerly province of Xinjiang. 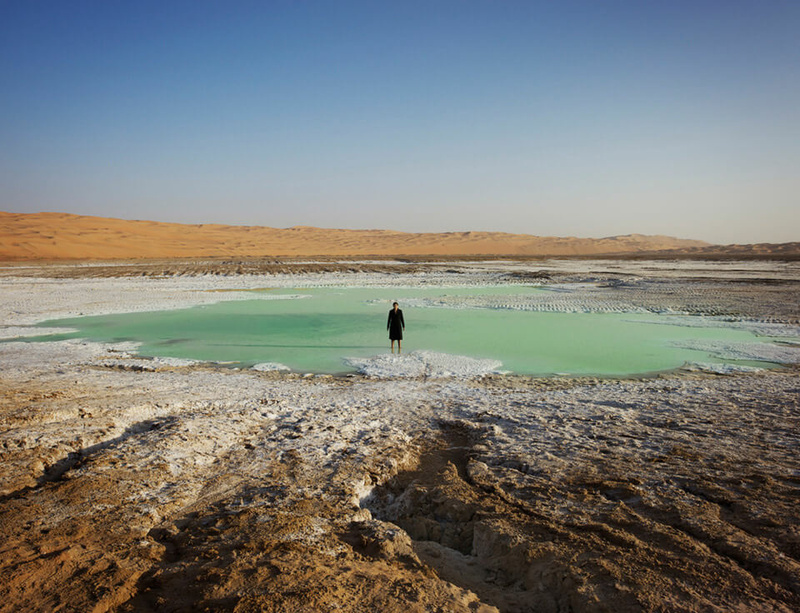 There is also a new photographic work by Marina Abramović (pictured here and entitled, In the Sea of Silence, 2013), which was made during her recent tour of the United Arab Emirates. Shirazeh Houshiary will also be represented by a dozen key pieces dating from 1998 to the present day. The artist will also be participating in Abu Dhabi Art Talk at 3.30pm on 21 November 2013.